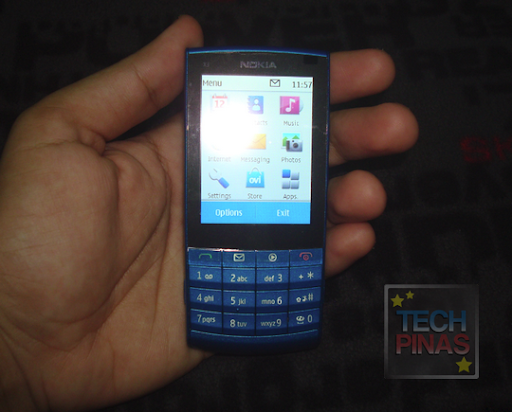 I've been playing with my Nokia X3-02 Touch and Type phone for a little more than a week now. And so far, I find it to be a cool phone to carry around when shopping in the mall, jogging and doing the grocery. I think it's the phone that you'd want to take with you when doing casual or laid-back activities. But that's just me. Before I give my full review on the handset, I'd like to share with you the eight things that I absolutely like about it. Nokia X3-Touch and Type is actually the first Nokia phone to have both a touchscreen and an alpha-numeric keypad. I like that I can go from typing an SMS using the keypad and scrolling webpages using the touchscreen with but a lift of a finger. 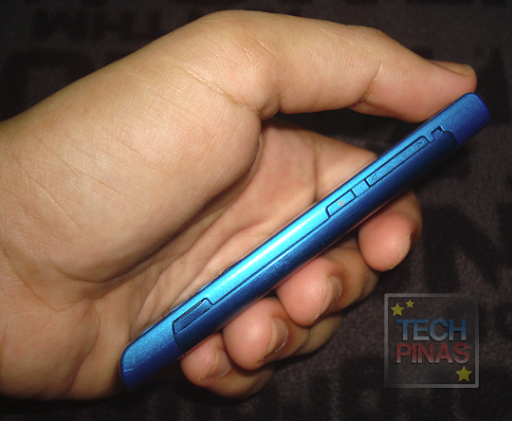 With depth of only 9.6 millimeters, Nokia X3 Touch and Type is one of Nokia's slimmest phones. It's so slim, it fits almost seamlessly in the pocket! Just to give you an idea of how thin it is, its depth is only around that of a regular Mongol pencil. 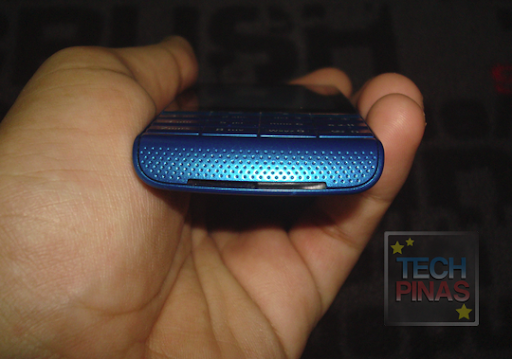 Just because it's very thin doesn't mean Nokia X3 Touch and Type is a pushover when it comes to multimedia features. This phone actually sports a 5 MegaPixel camera that takes stunning photos in well-lit conditions. I'll post sample shots soon. 4. The touchscreen is responsive. Contrary to earlier reviews by other bloggers, I find that Nokia X3 Touch and Type's resistive touchscreen is actually very responsive -- at least in comparison to resistive touchscreens of phones by other brands. It detects the slightest pressure and delivers snappy response. 5. It has fairly loud speakers. Nokia X3 Touch and Types belongs to Nokia's line of music-centric phones, the X-series. As such, it's expected to perform well in the sound department. And I think X3 delivers. This phone has speakers at the rear that deliver not only loud but also clear and crisp sound quality. I also like the sound quality from the earphones that comes in the box. 6. The shortcut keys always come in handy. Below its screen, Nokia X3 has two shortcut buttons sandwiched between the Call and Drop knobs. The first one is for messaging and the other, for music. Thanks to them, it only takes two presses to start composing an SMS or playing a sound file. 7. I can easily get apps for it via Ovi Store. There are a lot of apps available for Nokia X3 Touch and Type (my favorite is Snaptu for social networking). You can download these apps from the Ovi Store, which you can access straight from the homescreen. 8. It lets me connect to my social networking accounts easily over Wifi or my network data plan. I'm addicted to Facebook and I'm glad that Nokia X3 Touch and Type allows me to quickly access it right from the homescreen. I also like that I can navigate the site very easily using the phone's touchscreen. Alright, that's it for now. Please stay tuned for my full review.